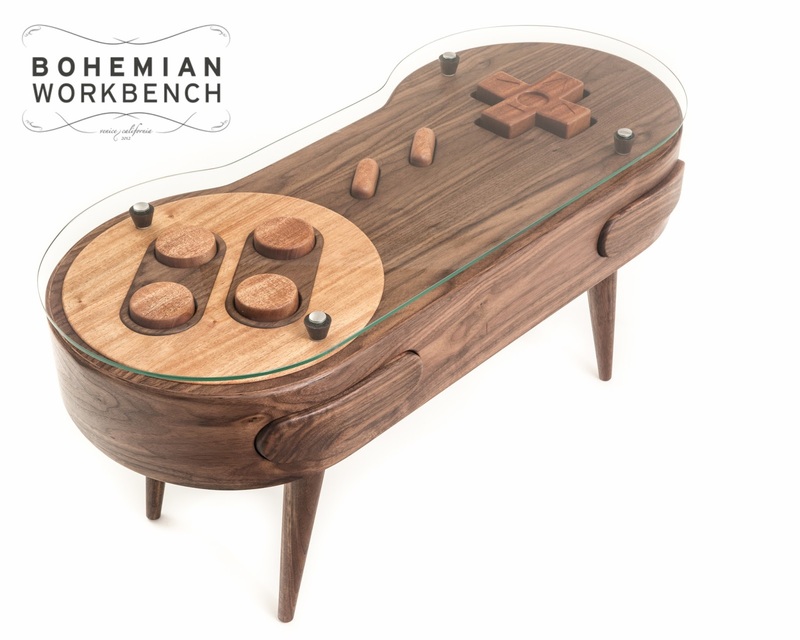 Here's a closer look at Charles Lushear's Super NES Coffee Table featured at the Iam8bit Tenth Anniversary Art Show. 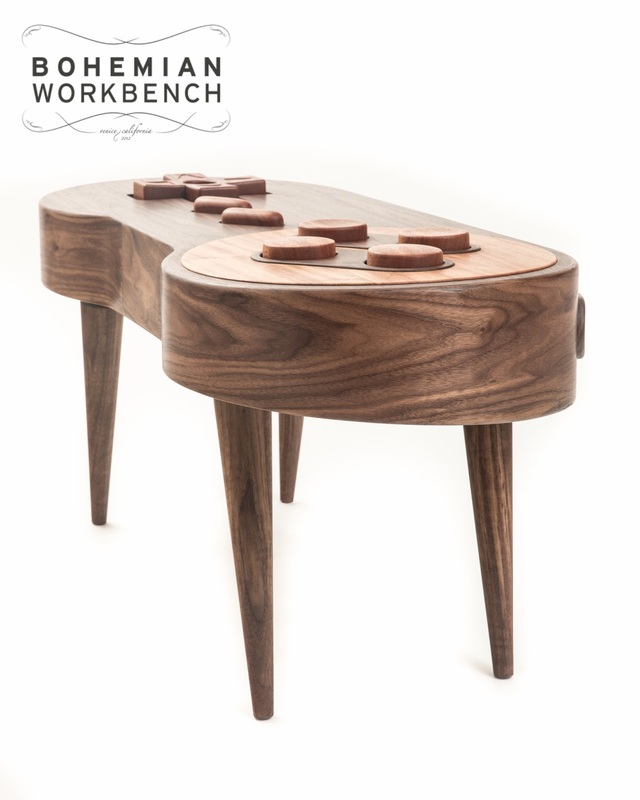 Made of walnut, the piece costs $7,000 and works via USB, so any computer with emulation software is ready. Non-functioning; $5,500.